Well, well. Some of you are fans of Isabella Lam from before you read my review on her book last week. Glenda Bollivar said, "I have Isabella Lam's first book and absolutely love it. 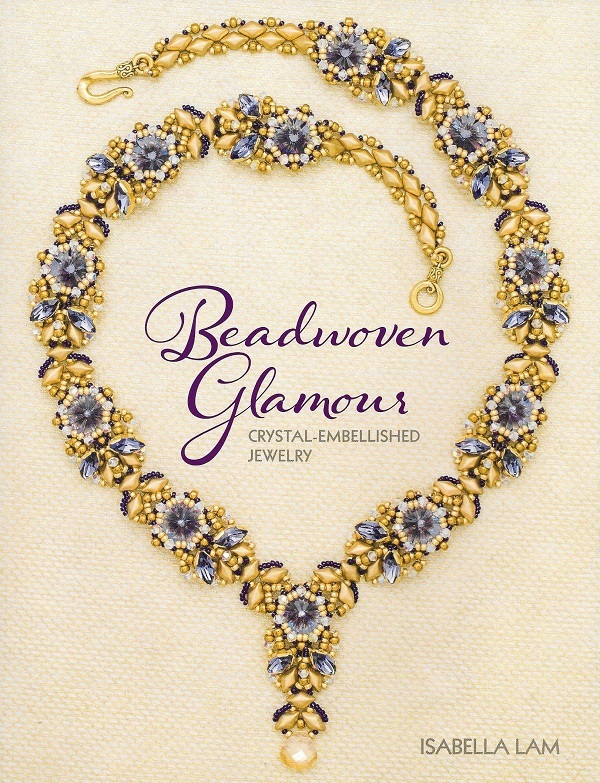 She takes beadweaving to a glamorous, art deco, and to my eye, an Edwardian look that I adore." She does have a certain flair for designing with different shape beads! I do agree with itsme who said, "Isabella Lam is the most creative designer I've seen in years with beautifully detailed projects that are very inviting to make and own." So who was the lucky winner of this giveaway? I numbered all the eligible entries and got the random number generator at random.org to do the picking. The lucky winner is Paulette. Congratulations. Paulette - I do not have any contact info for you, so please email me pearl@beadinggem.com before next Monday or I will have to redraw another winner. Didn't win? You can purchase the book here. I just finished cruising her Etsy shop and her work is abosolutely STUNNING! I've not seen even one pattern I've wanted to purchase and recreate using the newly shaped beads on the market, but gosh, I found several in her Etsy shop. I will definitely be making a purchase soon. Thank you for sharing.